Bad news for those who are planning an al fresco dining experience. The UK could be set to see wasps taking over Autumn thanks to perfect breeding conditions throughout Summer. According to British pest control experts, the country is on course for an explosion of wasps in September. This will push the threat of stings later on into the year and lengthening the wasp season across the country. In years with average temperatures, wasp nests would begin to die off by the end of August. Due to the warmer temperatures, this is not expected to occur until the end of September or October. Due to higher than average temperatures this Summer, wasps have been able to thrive unlike in previous, colder years. In 2016, average August temperatures were as low as 17 degrees Celsius. However, this August they have been 5 – 7 degrees warmer. During hot weather, wasps breed a lot more easily due to the increased growth of food sources that they rely on. Because of this, pest control specialists, including Confirm A Kill, have reported a more than 200% increase in the number of wasp calls they’ve received over June and July. At the moment, due to an abundance of sugary food available for them naturally, wasps will be seen roaming around the garden gathering food. 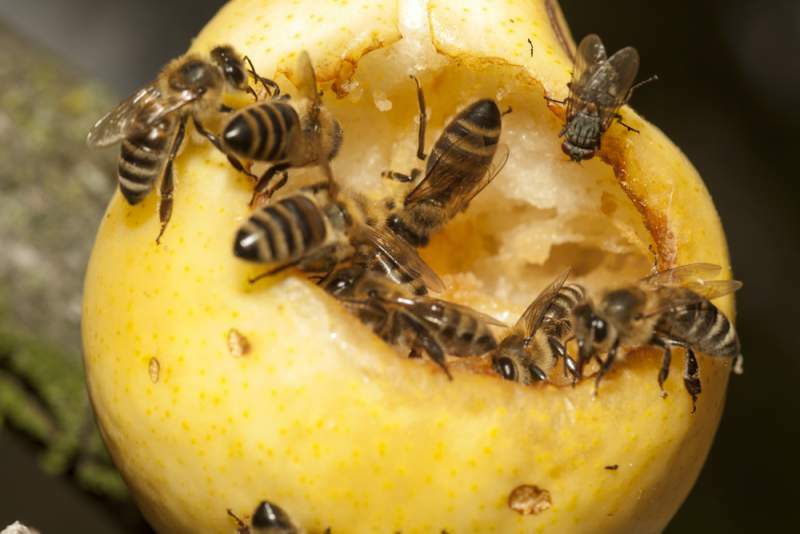 However, when these food resources begin to run dry, this behaviour is likely to change, and the wasps will take a more proactive role in searching for food, which will likely be indoors or around some outside dining areas. Wasps are also likely to become increasingly agitated when their food sources start to decline. This could increase the risk of stings if you get in the way of their hunt for food. With current conditions being ideal for breeding, nests are expected to grow. The largest one, found in Southampton, contained around 500,000 wasps! Although it’s difficult to fully remove the risk of getting stung, it’s not impossible. Wearing brighter clothing is likely to increase risks, so wearing a bright pink sunbathing outfit is unlikely to help matters. Dull colours could help blend in and reduce the overall risk. Similarly, if you’ve been seeing an increased number of wasps outside, as much as it can be a pain, try not to eat outdoors. If you can’t avoid an al fresco dining experience, do so with caution. If you think you have a wasp nest or need some advice on what to do next, give Confirm A Kill a call on 0115 913 5724 or get in touch online.